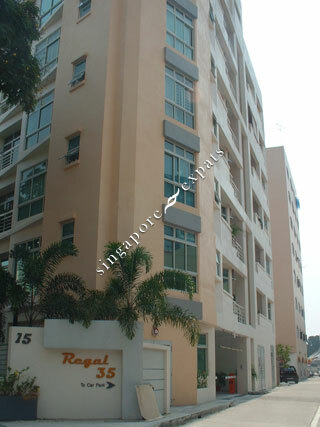 Regal 35 is located at Lorong 35 Geylang, in-between Paya Lebar and Aljunied MRT Stations. It has recreational facilities including a swimming pool, playground and BBQ pits. Amenities are aplenty near Regal 35, such as shops, shopping centres, food centres, schools. It is also near to Keypoint, City Plaza shopping malls. Transport is made easy with no lack of buses and taxis along the stretch of Sims Avenue and Geylang Road. Traveling to the Central Business District via MRT takes only 20 minutes. Commuting to the Changi Airport takes about 30 minutes.